Virtual Reality provides a safe environment for treatment of patients with phobias through vivo exposure, although generalization of this type of treatment is rare. 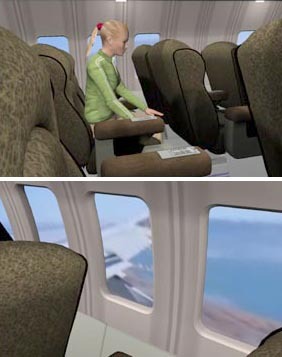 Researchers recently used virtual reality equipment to treat a young woman for her fear of flying. They used a BIOPAC VR ultimate system for the patient’s six sessions of treatment. You can read the whole study here. Researchers studied the effectiveness of isokinetic single leg cycling in increasing quadriceps strength for individuals with reconstructed ACLs. Subjects had BioNomadix wireless EMG transmitters attached during the experiment while their data was recorded using AcqKnowledge software. Read the entire paper here. Studies have shown that there is an inverse relationship between blood pressure and sensitivity to experimental noninceptive stimulation. A group of researchers thus investigated possible associations between blood pressure and paradoxical pain. An ECG100C amplifier hooked up to a BIOPAC MP150 system recorded subjects’ BP and ECG data while it was being collected by a PC running AcqKnowledge software. Download the study here.